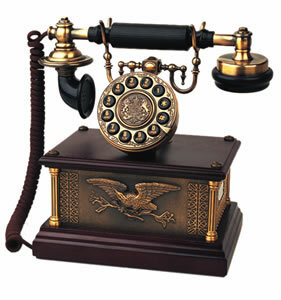 Antique telephones are a great addition to any room; bringing an old fashioned / vintage style phone. 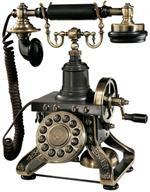 All of our antique phones for sale are fully functional replica antique reproduction telephones that are crafted with high quality materials. Whether you consider these phones to be old fashioned, vintage, classic, retro, or nostalgic; these antique telephones for sale by World To Home will be the centerpiece of attention in your home.